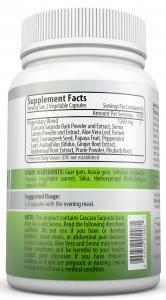 Aids the elimination of mucoid plaque on the colon wall. Helps rid poisons that are considered to be toxic waste from the bowel. These toxic materials are associated with bloating, weight gain, digestion problems, acne breakouts, irritability, fatigue and headaches. 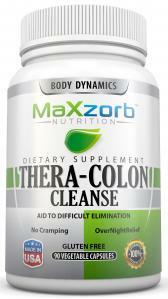 Allows the colon to absorb nutrients more efficiently as the mucoid plaque barrier is removed. How much impact does this have on a person’s overall health? Consider this statement by gastroenterologist Dr. Anthony Bassler: “Every physician should realize that the intestinal toxemia (poisons) is the most important primary and contributing causes of many disorders and diseases of the human body.” Problems associated with these poisons include bloating, weight gain, lower back pain, and issues with digestion. The individual might also have acne breakouts, irrability, fatigue, or have frequent headaches. The best way to address these issues and the underlying cause is to remove the excess waste from the colon, which is precisely what Thera-Colon Cleanse is designed to do. This product will not only reduce overall toxin levels in the body, but will also allow the colon to absorb nutrients more efficiently. Bowel movements and their frequency in particular, are a good way to gauge your overall colon health. Going more often means you are eliminating the waste that passes through your colon before it has a chance to “stick” to the intestinal walls, which can lead to accumulation over a period of months and years. As a general rule, you should have two to three bowel movements daily—one after each meal. The average number is likely much lower, but that doesn’t mean it is healthy or desirable. If you have infrequent bowel movements, just once a day or once every several days, you should be taking Thera–Colon Cleanse. You need to increase foods high in fiber, exercise, and drink at least 8 glasses of water per day. Taking this multi-faceted approach will likely increase the frequency of your bowel movements. This can prevent not only the accumulation of toxins, feces, and other wastes in your colon, but also the many health problems that are linked to this common issue. To provide even more benefits to the colon, add the Total Digestion Probiotic with digestive enzymes. As the bowel begins to function normally, start taking the Mega Cleanse Internal Cleansing Complex and the Mega Cleanse EX. 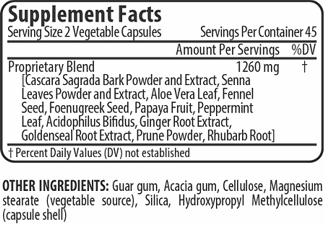 These formulas will maintain a clean colon, liver, lymph system, kidneys, lungs and skin.